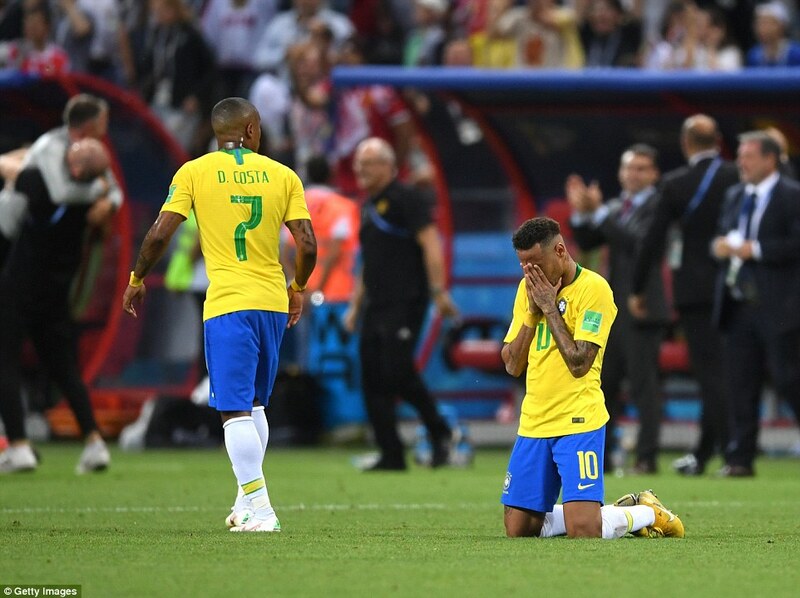 At the end, they were a picture of devastation – Neymar down on his haunches sprawled out on the turf and Fernandinho flat on his back, staring into the black night sky after their nation’s third quarter-final loss in four years. 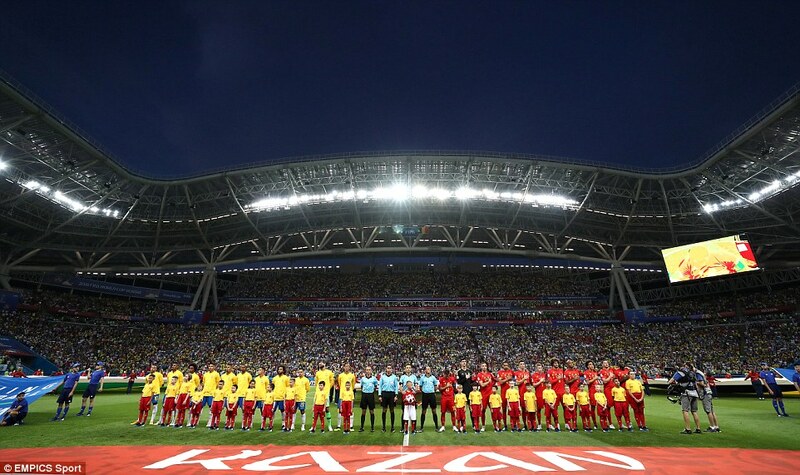 The despair is understandable because what they discovered on Friday night is that new nations are coming to the table, developing players and systems to beat the so-called old guard. 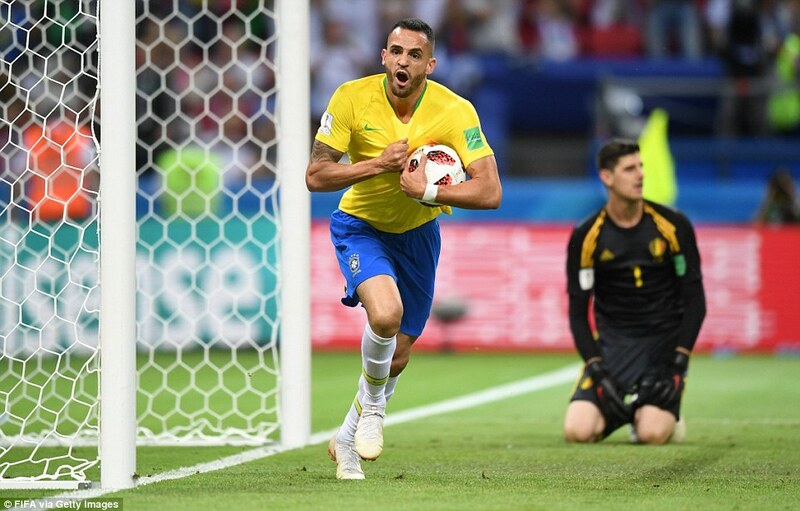 Belgium out-thought and out-played Brazil for 75 minutes of a quite breathless quarter final – delivering such an impeccable display of counter-attacking football that Tite’s side could not, despite everything, find a way back. 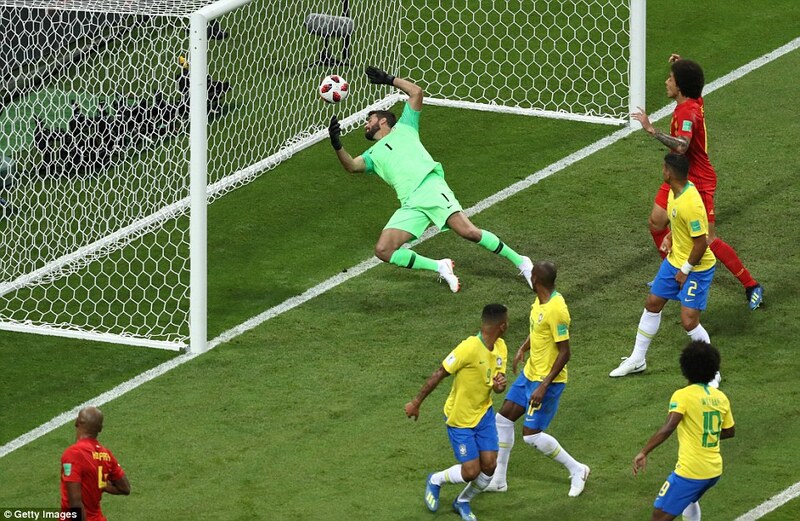 BRAZIL (4-3-3): Alisson 6; Fagner 5.5, T Silva 6, Miranda 5.5, Marcelo 7; Coutinho 7, Fernandinho 4.5, Paulinho6 (Augusto 7); Neymar 6, Jesus 5.5(Costa 58) Willian 6 (Firmino 46). Subs not used: Cassio, Pedro Geromel, Filipe Luis, Marquinhos, Fred, Taison, Ederson. 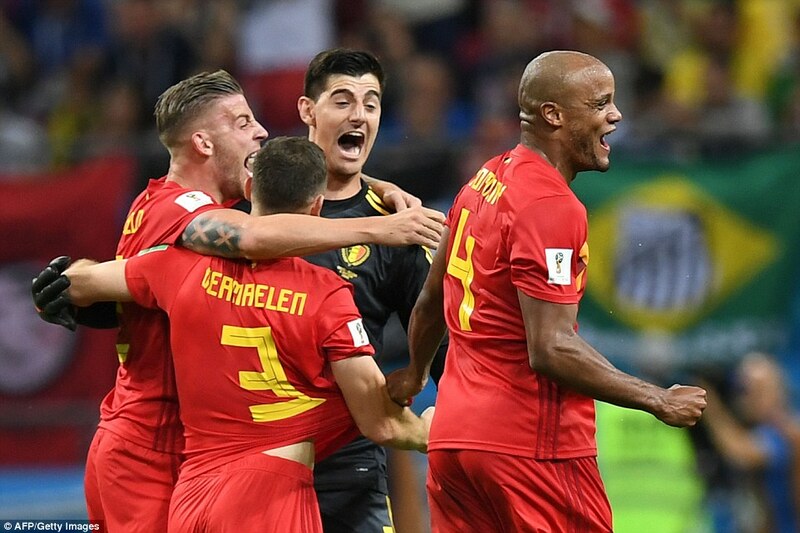 BELGIUM (3-4-3): Courtois 7.5, Alderweireld 6.5, Kompany 6, Vertonghen 8; Meunier 7.5, Fellaini 7, Witsel 6.5, Chadli 7 (Vermaelen 83); Lukaku 6.5 (Tielemans 87), De Bruyne8.5, E Hazard 6.5. Subs not used: Mignolet, Carrasco, Mertens, T Hazard, Januzaj, Dembele, Boyata, Batshuayi, Dendoncker, Casteels. The Brazilian team walked into the place with regulation green back-packs, looking like a group on some kind of commando mission, though things didn’t start well. 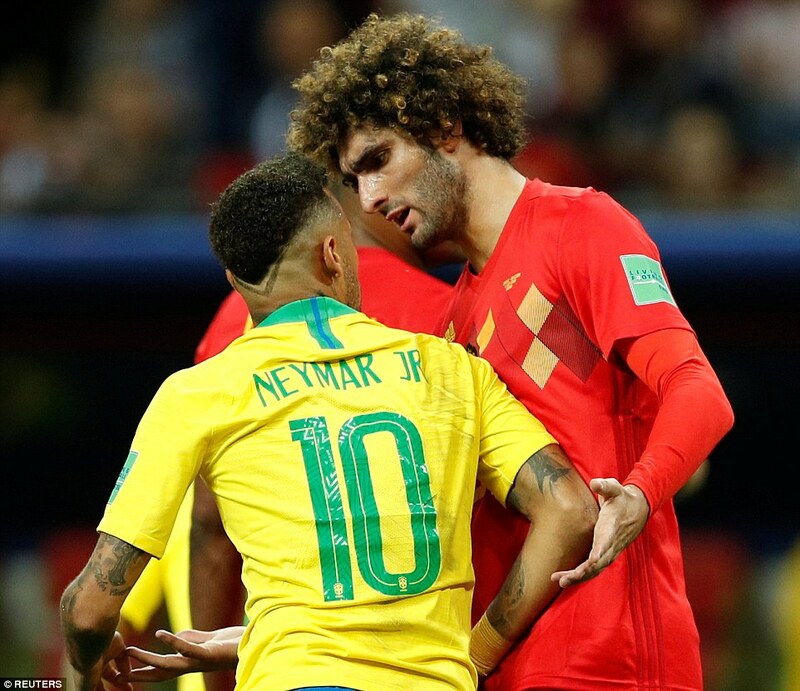 Marcelo got lost on his way to the dressing room. Casemiro was denied entry to the stadium because he had forgotten his accreditation. The effect was very similar out on the pitch. 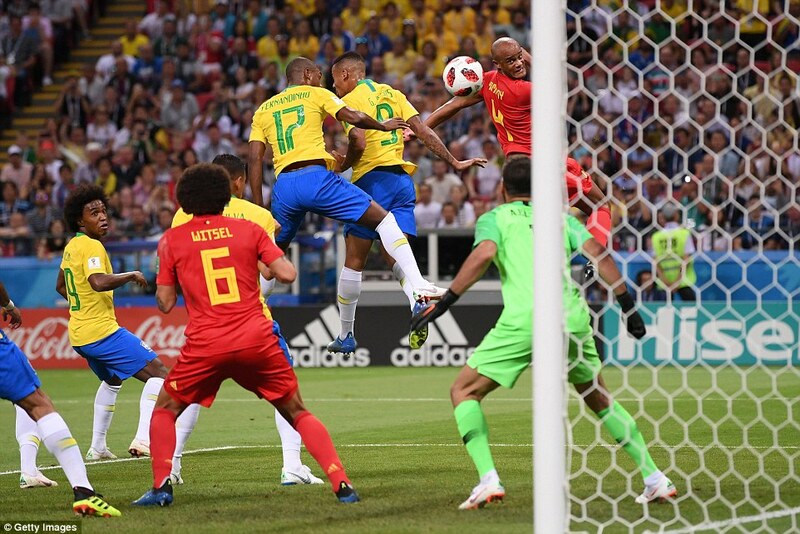 They began well enough, exposing a weakness to the set-piece for which Belgium looked like they might pay a very heavy price. 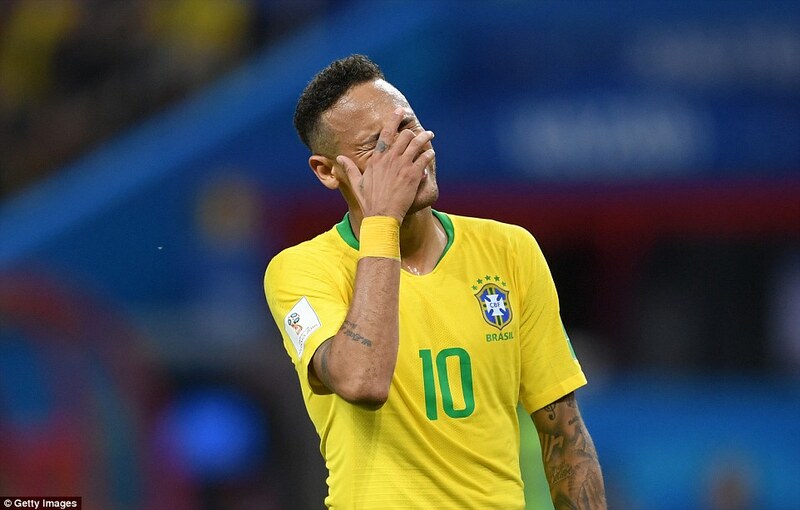 The game wasn’t even ten minutes old when Miranda flicked on a corner from Neymar and Thiago Silva directed it onto the left upright with his right knee and Paulinho, unmarked, received another corner but could not find any power. 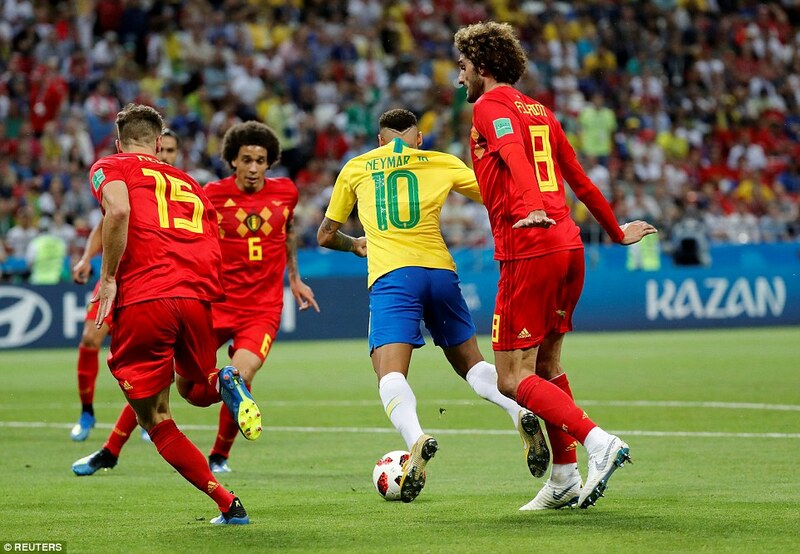 But Belgium were set up to deal with that lethal axis formed by Neymar, Philippe Coutinho and the overlapping Marcelo down Brazil’s right, which flickered intermittently into life in the game’s first 15 minutes. The usual back three became a four as soon as they fell out of possession, with Thomas Meunier dropping back. As Martinez’s players found composure, so they located the counter-attacking weapon they come here intent on releasing. 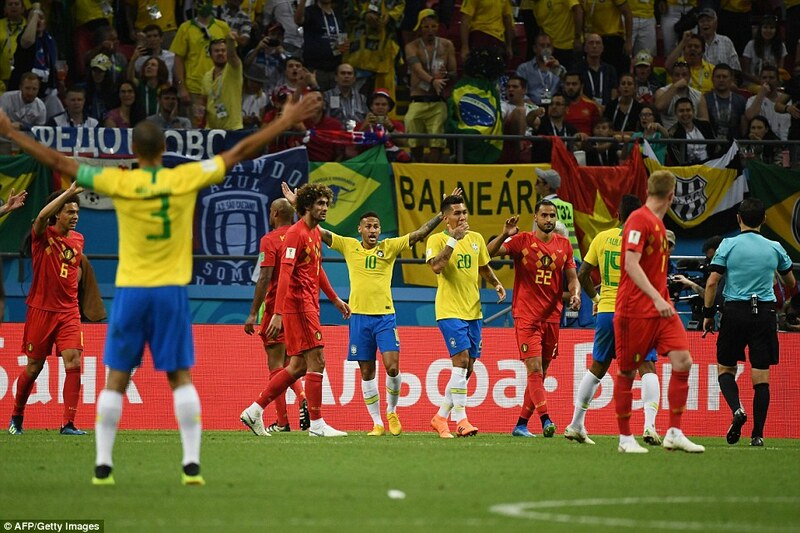 The suspension of Casemiro – the granite-like presence in front of the Brazilian defence – had seemed beforehand to create a chink of light for the Belgians. 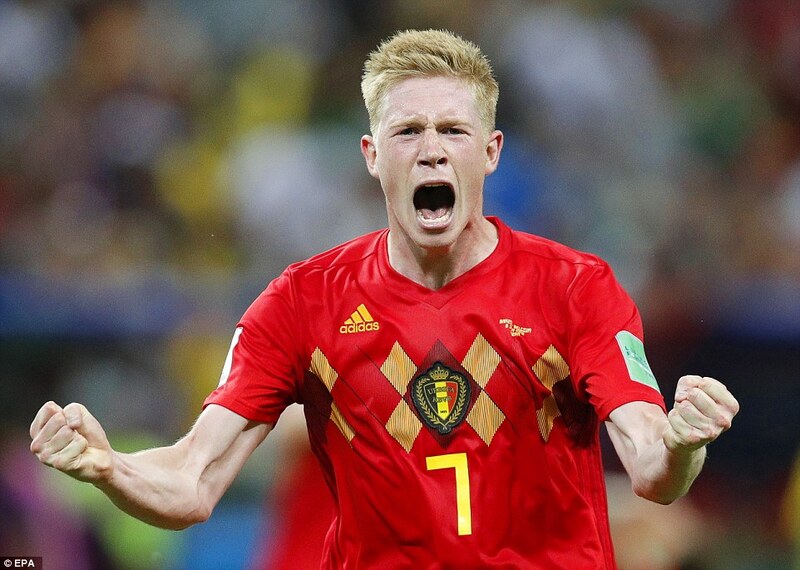 That was certainly how it transpired as the breathtaking pace and vision of Kevin de Bruyne, with Romelu Lukaku and, gradually, Eden Hazard, blew a hole through heart of their side. 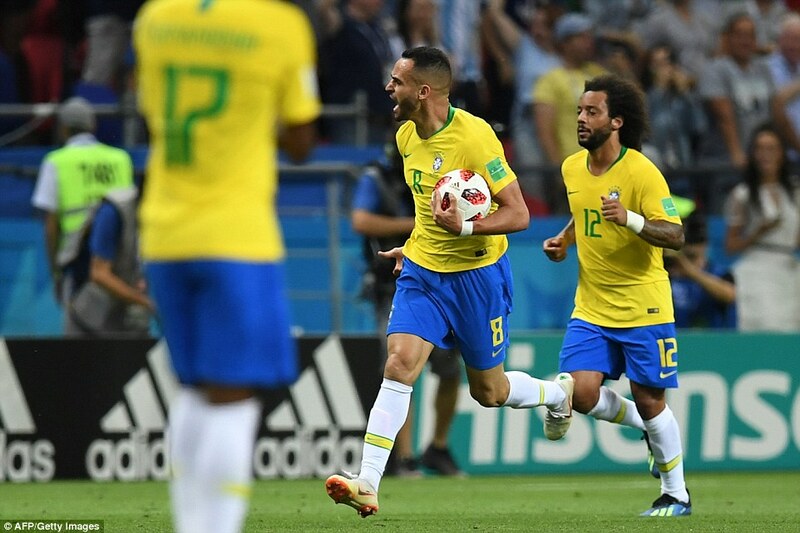 There was a vulnerability about Casemiro ’s replacement, Fernandino, from the game’s second minute when de Bruyne won a contest with him and drove a shot narrowly wide. 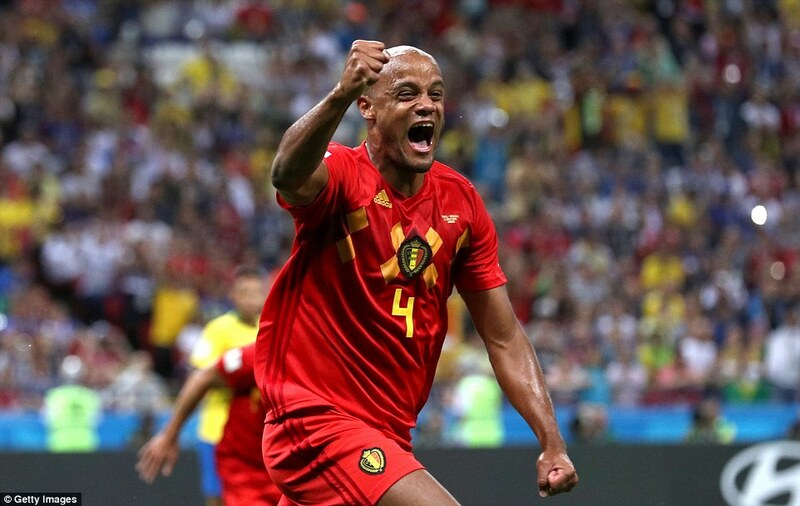 His belief was further shredded inside 13 minutes when Nacer Chadli’s inswinging corner shaved the top of Vincent Kompany’s head and was diverted in off the Manchester City midfielder’s shoulder. Looking to draw level, Brazil created space in behind and Belgium had them precisely where they wanted. Lukaku’s contribution had been erratic for the first half hour but when he is allowed to gather the ball and charge with it, he is monumental. 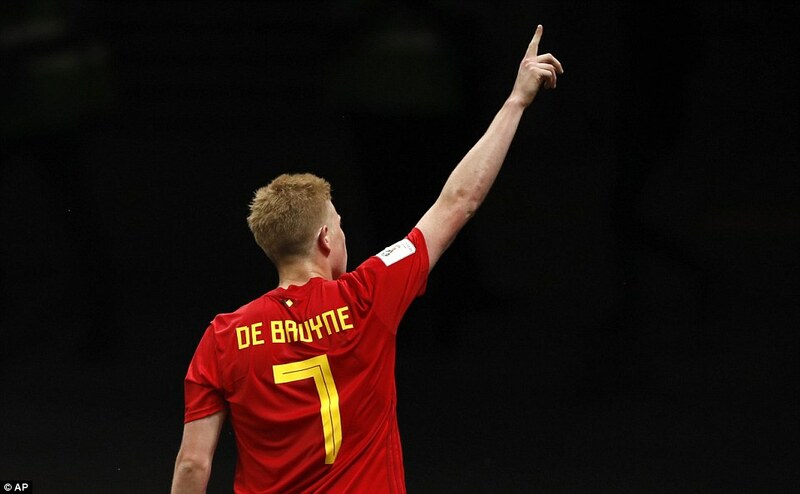 The game was just over half an hour old when he seized possession in front of his own penalty area, stormed beyond Fernandinho and drove a ball out right to De Bruyne. Allowed time to stop and take aim by Marcelo, he deipatched the ball into the bottom left hand corner. 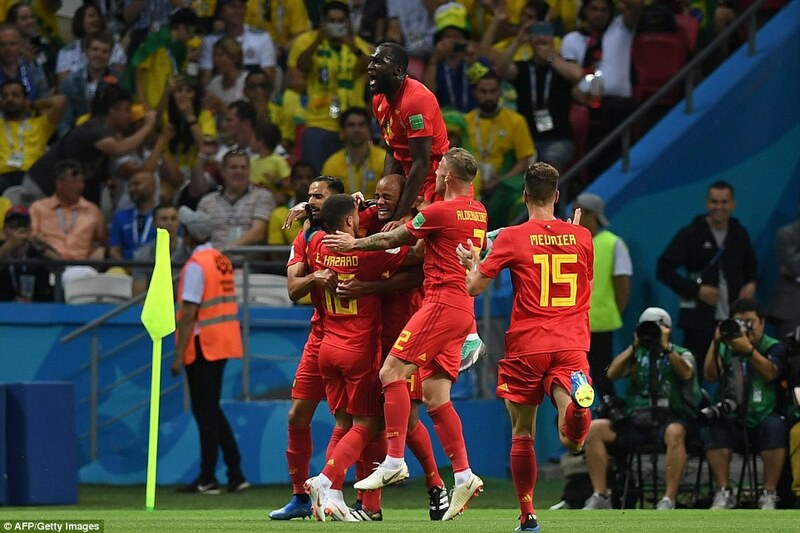 Marouane Fellaini added steel at the back of the Belgium side and Jan Vertonghen contributed to Belgium’s fierce defensive resolve. 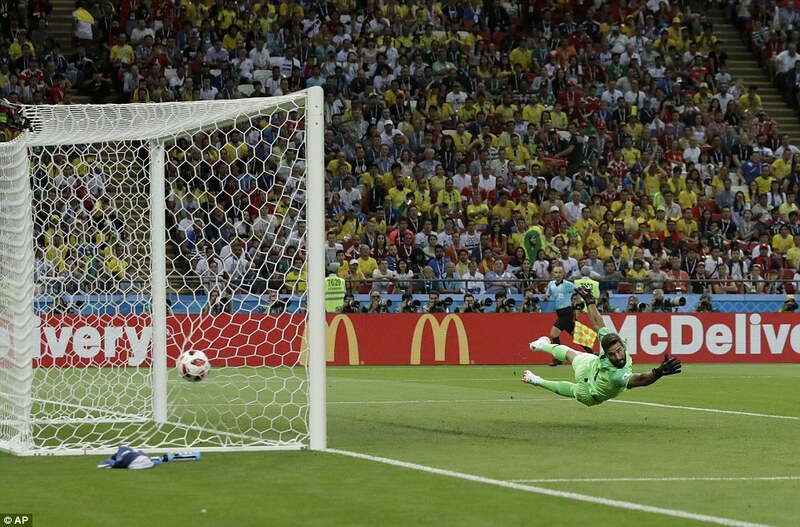 For Brazil, there was no way through. 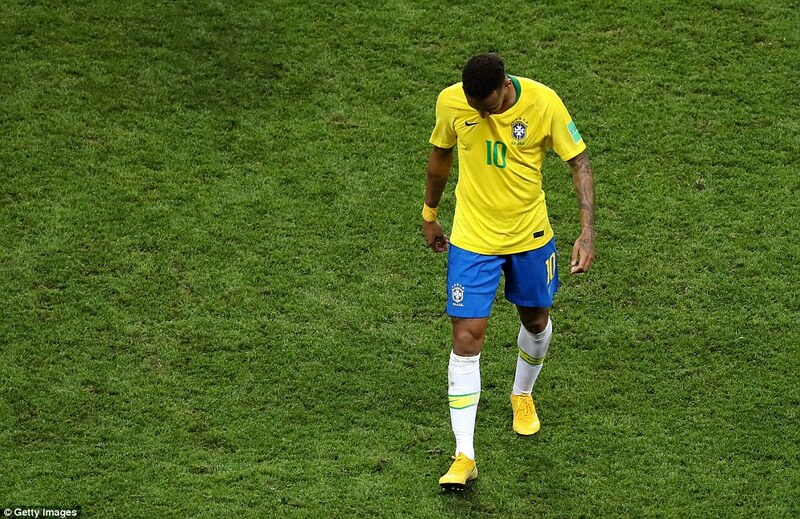 Neymar was a marginal presence. Gabriel Jesus skewed a headed chance he was presented with. Coutinho was reduced to taking aim from distance. Brazil’s Tite went all out for salvation and to turn back the weight of history. 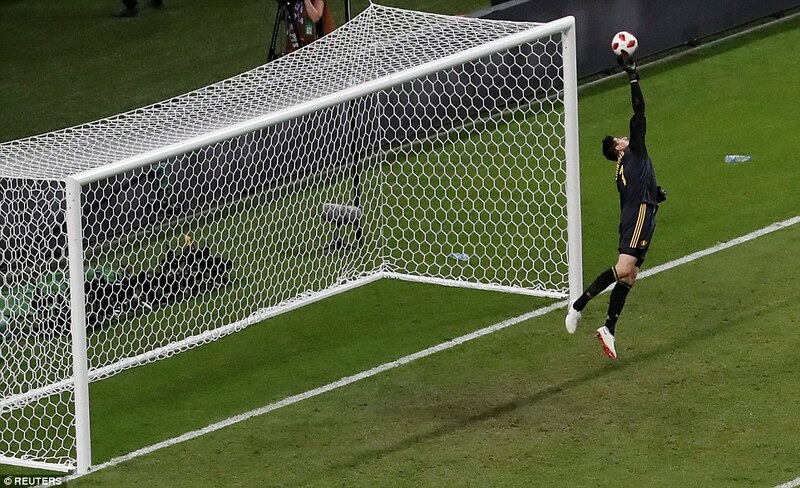 Never, on 130 previous occasions of a team being two goals down at half-time in a World Cup match, had that team come back to win. Liverpool’s Roberto Firmino was sent into a 4-2-4 formation. Belgium did not yield, though there was an element of fortune in that. 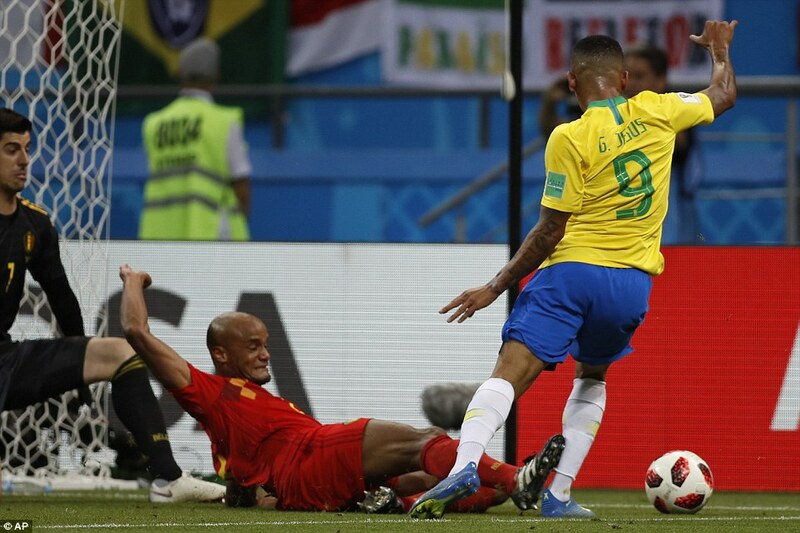 Brazil seemed justified in their demands for a penalty after Jesus nutmegged Vertonghen and seemed to be clattered by Kompany. 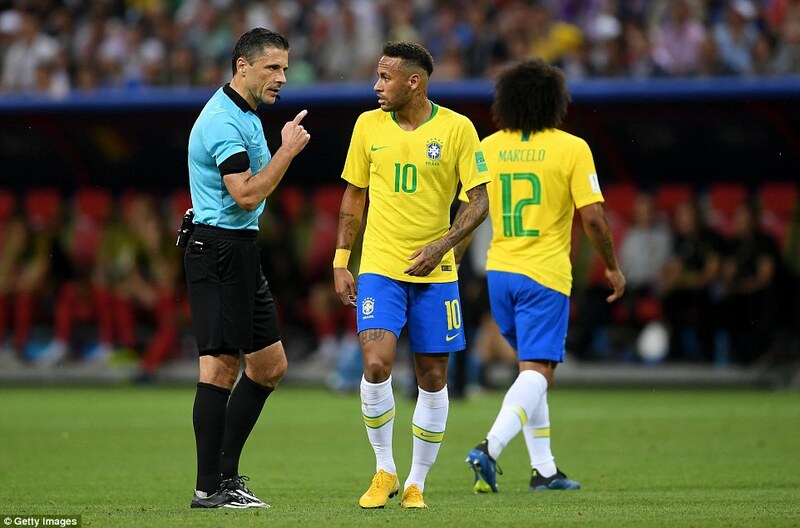 VAR ruled that the ball had already run out of play. 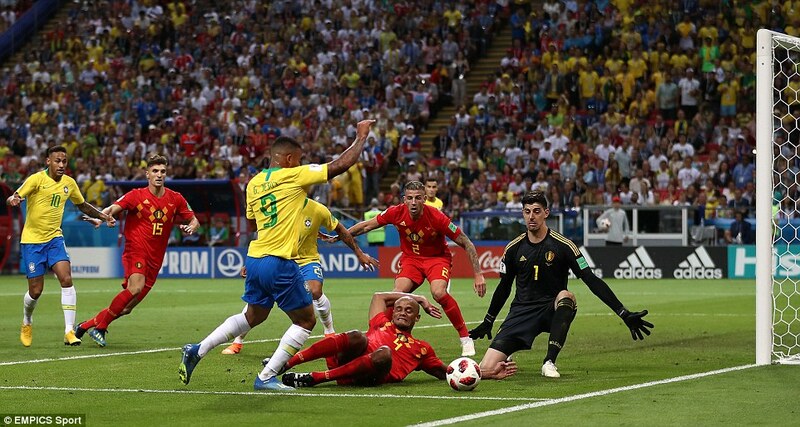 Jesus made way for Douglas Costa on the hour but Thibaut Courtois leapt to save to his right from him, too. 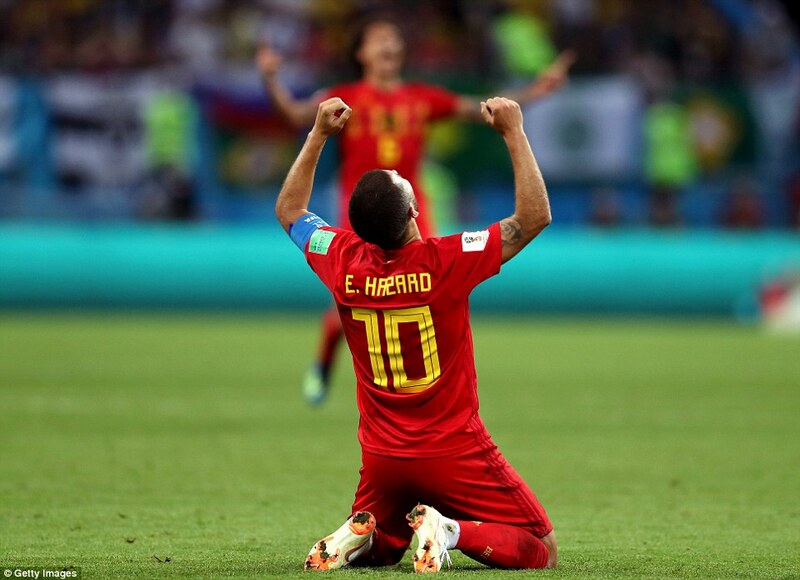 For pure, individual attacking talent, Belgium continued to deliver what generations have come to expect of Brazil. In the blink of an eye, they cleared two thirds of the field and almost scored again. 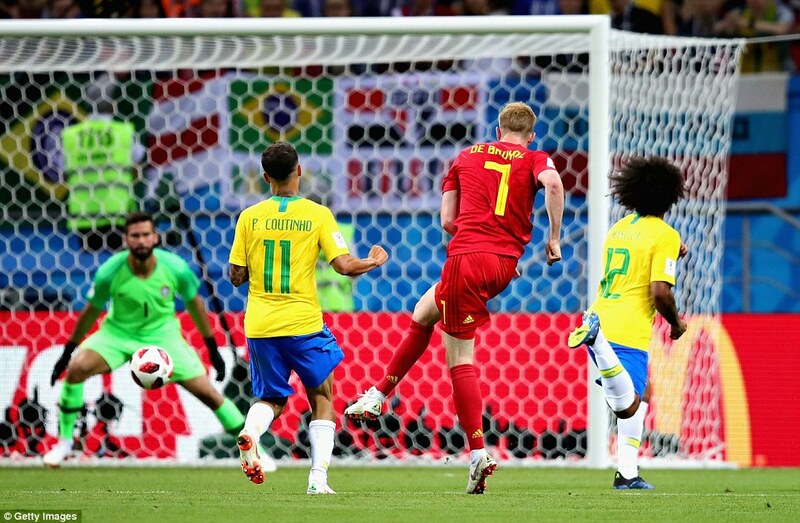 Chadli dispossessed Fernandino on the Brazil right and found De Bruyne, who flashed a left foot shot inches wide. 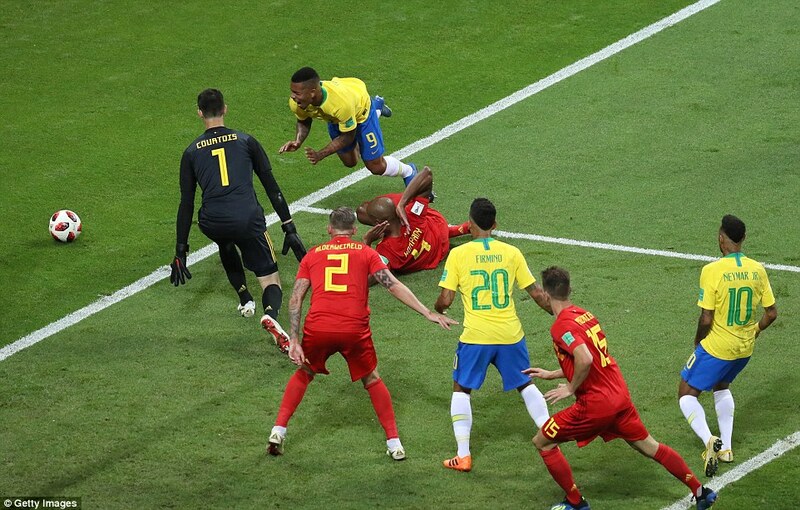 As Brazil drove on and on, looking for a foothold in the game, it looked to be a question of whether the Belgians could on. 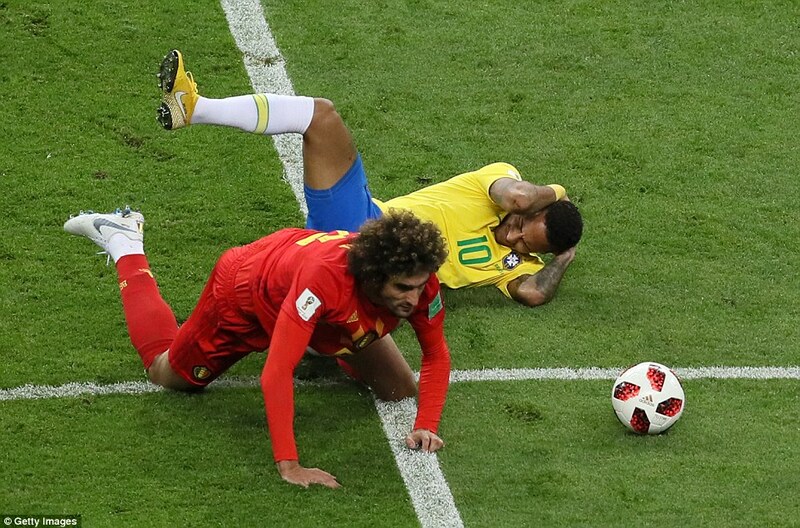 With 15 minutes to run they were tiring, Fellaini and the defenders were struggling to find the same competitive intent which had put them on the brink of this victory. 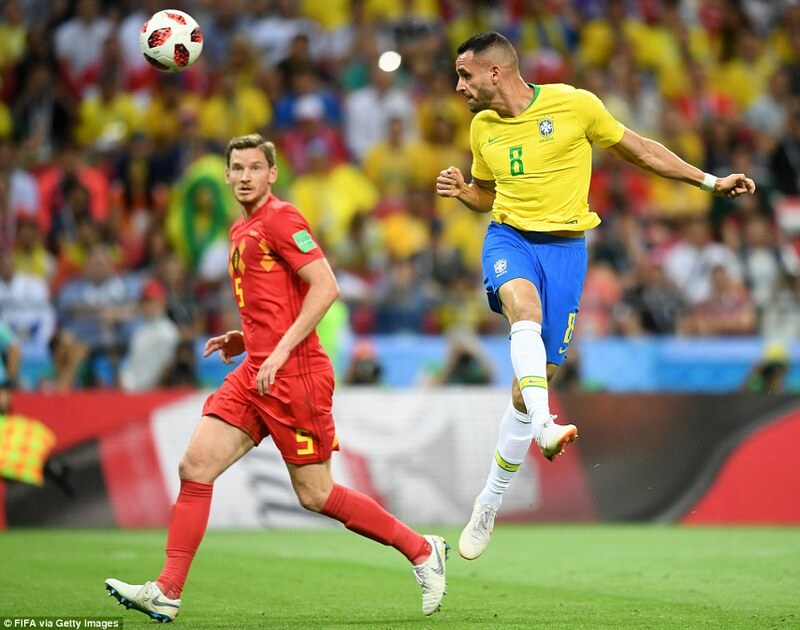 Brazil’s attacking menace all came through Coutinho who was given a fraction of space on 767 minutes which allowed him to deliver the cross for which substitute Renato Augusto leapt, this time leaving Kompany and Alderweireld standing, to direct home a header. Then, the two chances which will be haunting Brazil today. Augusto ran through on goal, fed by Coutinho, and blasted wide. 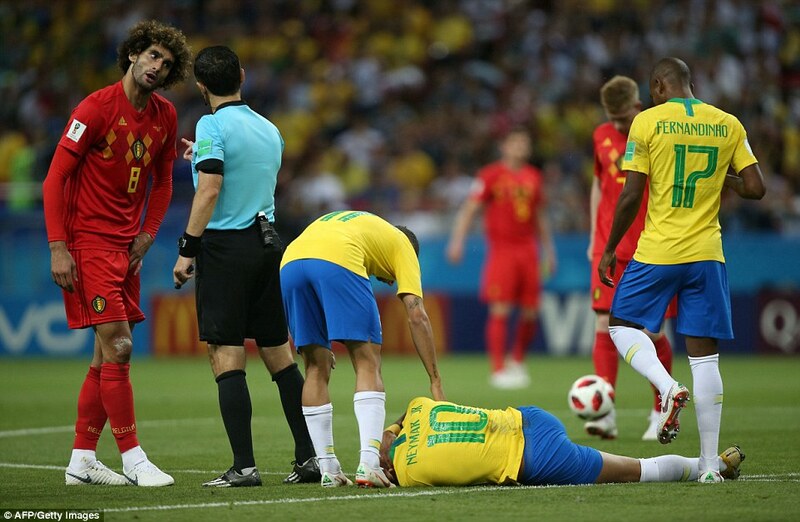 Coutinho ran in himself, fed by Neymar, and did the same. Still they seek a route to the top of the world.